The information and guidance published on our website should be viewed as a general guidance only and should not be relied on as a substitute for specific legal advices. Although DTLAW always attempts to keep all the information on the website as up to date as possible, errors may sometimes occur. Links to third party websites are made for your convenience and do not imply that we endorse those websites. We are not responsible for any consequences caused by the usage of information and guidance published on this website and/or on any connected websites from this website. 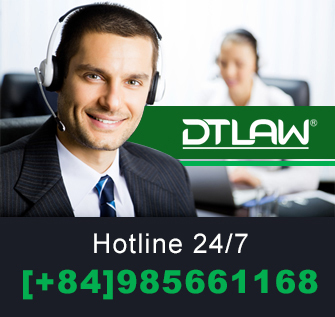 The content of DTLAW’s web sites is protected under copyright laws. Reproduction of reasonable portions of the content of the web sites is permitted provided that (i) such reproductions are made available free of charge and for non-commercial purposes, (ii) the portion of the web site being reproduced is not altered or made available in a manner that modifies the content of the web site or presents the portion of the web site being reproduced in a false light and (iii) notice is made to the disclaimers included on the web site. The permission to re-copy does not allow for incorporation of any substantial portion of the web sites in any work or publication, whether in hard copy, electronic or any other form or for commercial purposes.